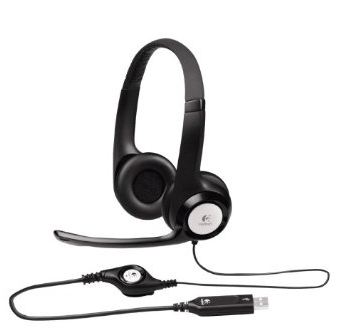 This post provides you with some of the most effective methods that will help you deal with the not working USB headphone on your Windows 7 fast and easily! To find out how to do it, just read through. Plug your USB headphone in to the correct inlet on your computer first. 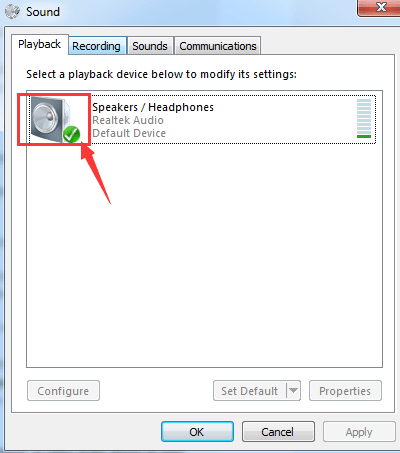 1) Right click the volume icon and then choose Playback devices. 2) Click the empty space and make sure that you have selected both of the options: Show Disconnected Devices and Show Disabled Devices. 3) See if you spot the name of your headphone and speakers. If you can see the name of your headphone listed here, and there is a green icon on the corner of the device, then you should be good to go. 4) If the icon here is grey, please right click it and choose Enable. If the above method does not help, please consider performing a troubleshooting procedure that might help you figure out what the problem is. 1) Click Start button, then choose Control Panel. 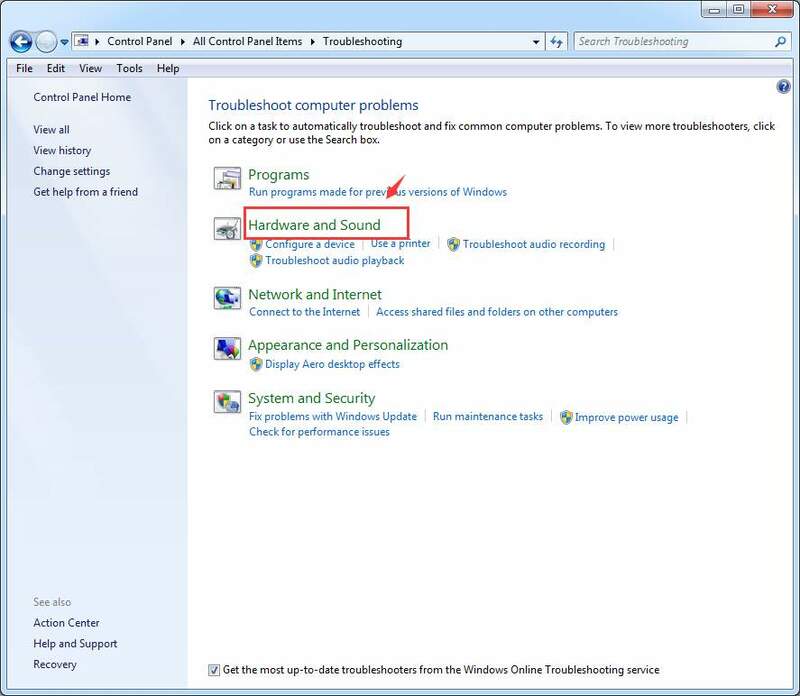 On the search box of Control Panel, type in troubleshooting and select Troubleshooting from the list. 2) Choose Hardware and Sound. 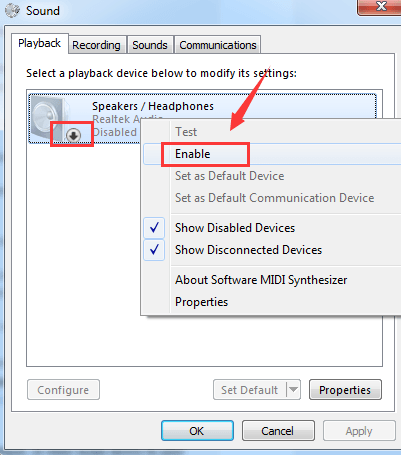 3) Then choose Playback Audio. 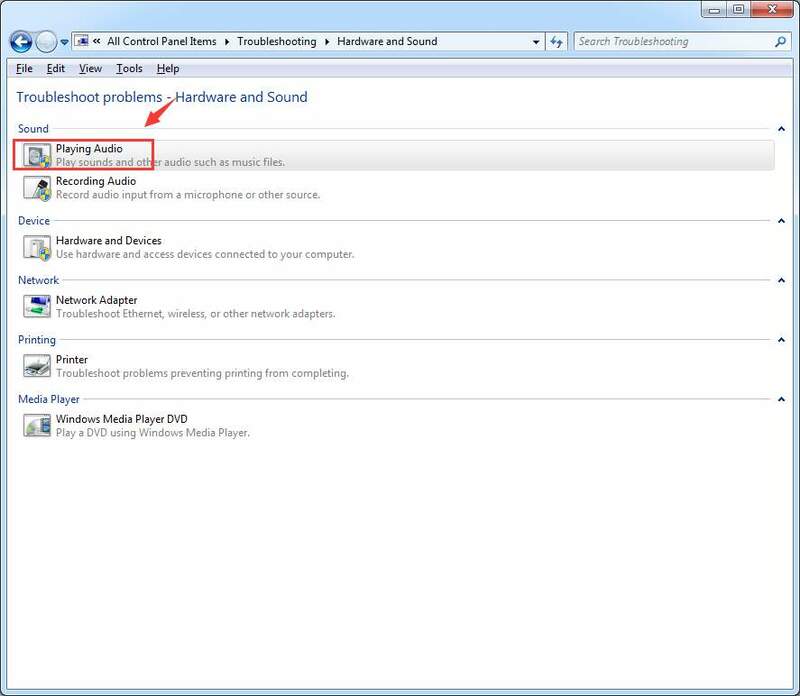 4) Follow the on-screen instructions to find out if there is anything wrong with your audio device or device driver. The above screen shot shows the problem of my device, yours should be different. If you have detected the problem, but you are not sure how to fix it, please leave a comment and we will see what we can do to help. PRO TIP: It is always suggested that you keep your audio card driver updated so as to avoid any unwanted problem like this one. To keep the device driver updated, you need to constantly check the manufacturer website for possible release of the latest driver suitable to your operating system. That sounds like a lot to do. 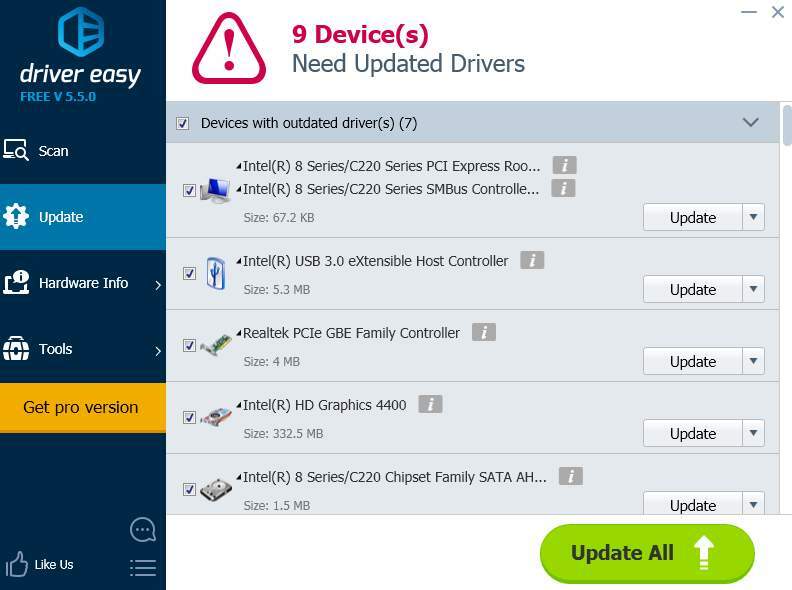 Well, to ease your burden and save your precious time, it is recommended that you use Driver Easy to automatically help you detect, download and install needed device drivers. With Driver Easy, you can set a schedule scan say once a week, then it will help you look for latest device drivers for your system. You are the one that decides whether to install them or not. 1) Try your headphone on your other devices, such as your cell phone. Make sure it works properly on another device. If not, you might need to see if this problem is caused by broken headphone. 2) If you have external speakers, make sure that they are disconnected from your computer. 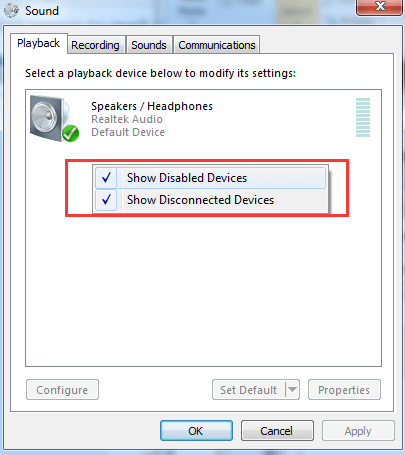 Speakers and headphones are not supposed to work together unless you have made some changes to the system settings. 3) If you are having problems hearing through your headphone only when playing some games, you might need to go to the Advanced settings of the game and see if you can find some settings related to the audio that can be modified.